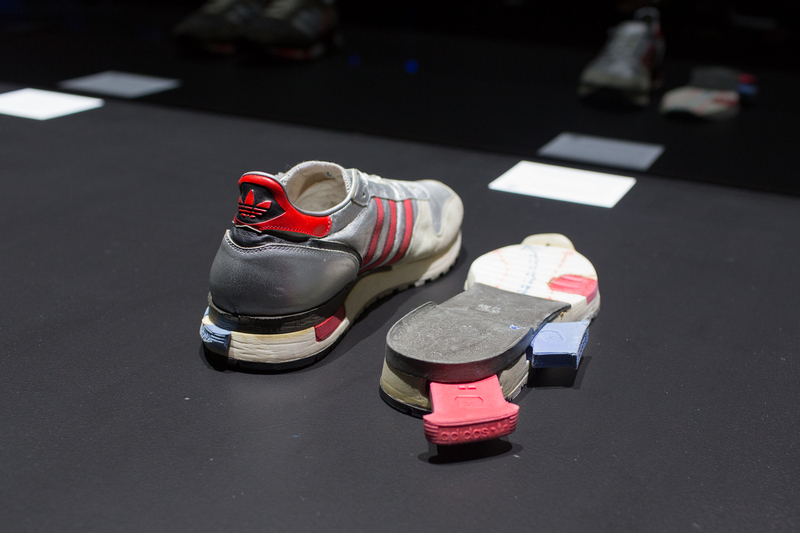 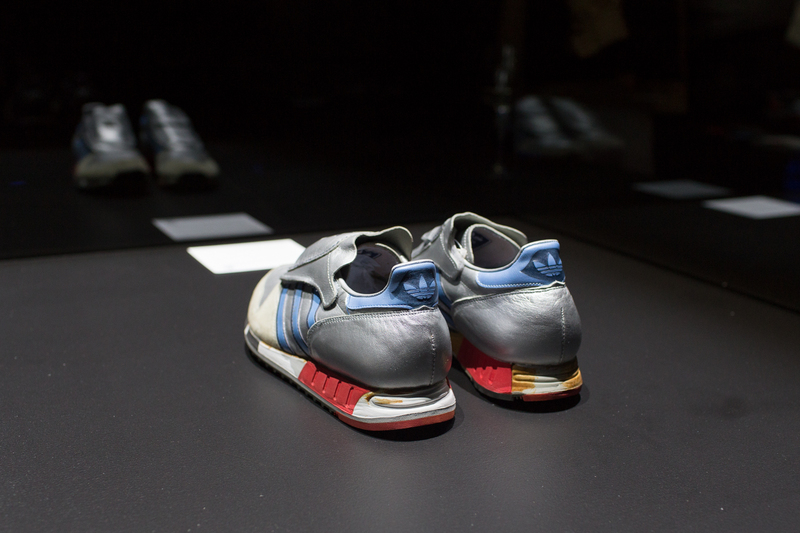 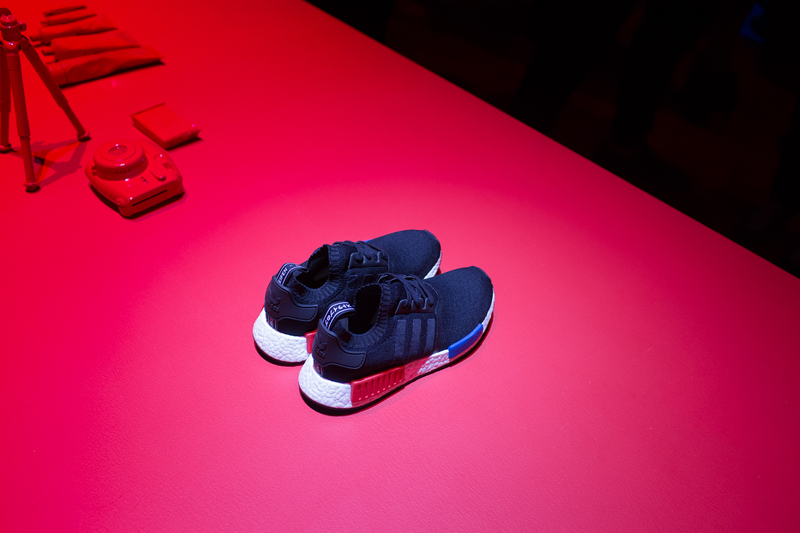 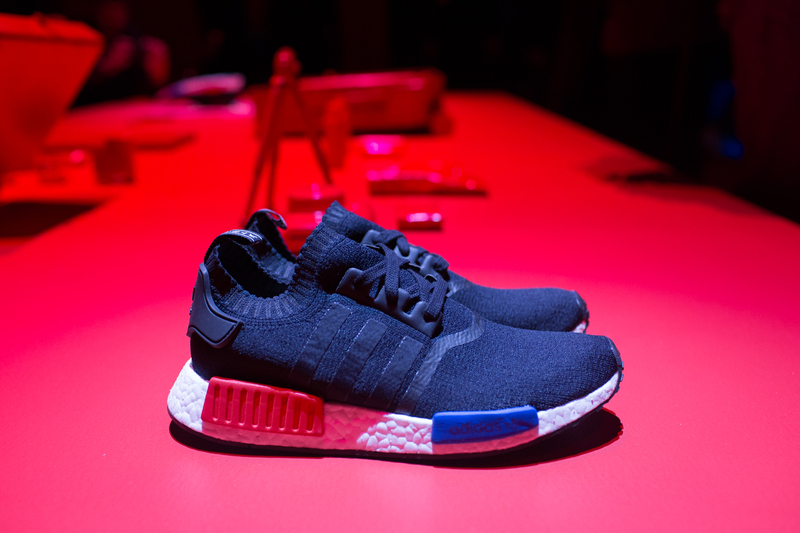 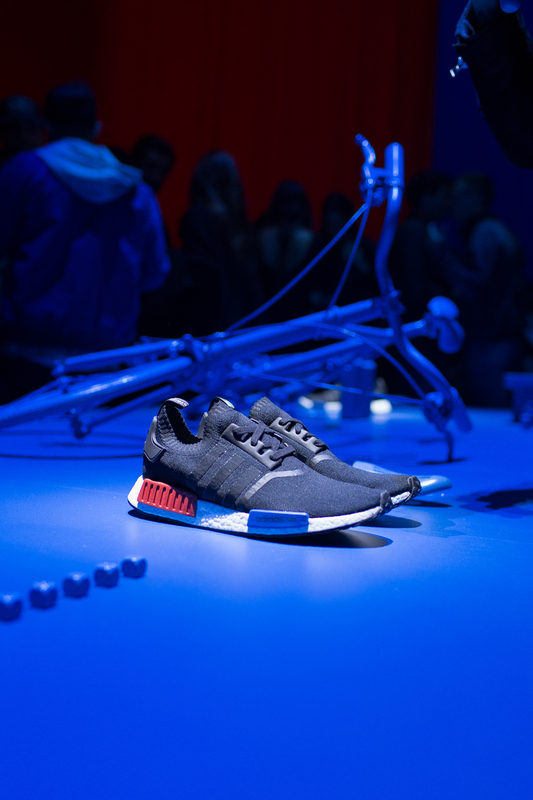 Taking over the more-than-impressive Lexington Armoury, home to many a show during New York Fashion Week, it’s clear that adidas Originals want NMD to fit into that world and be seen as an artistic expression in the same way that designers and brands in high fashion view their work. 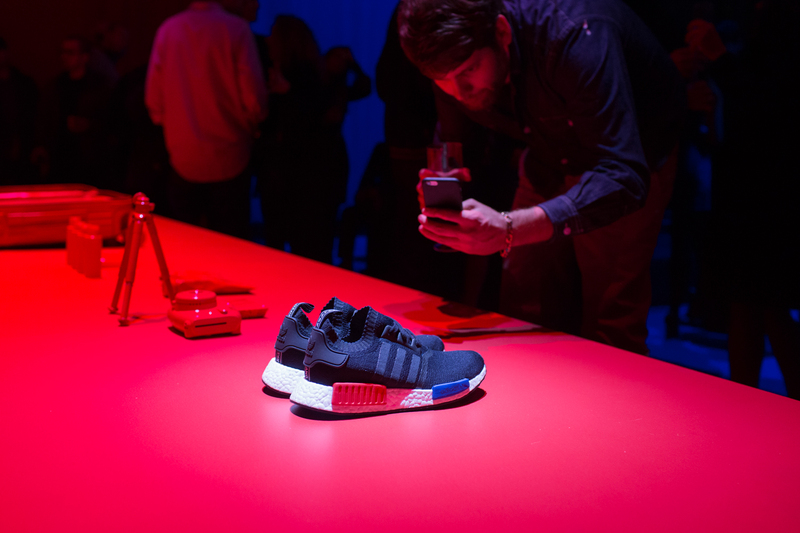 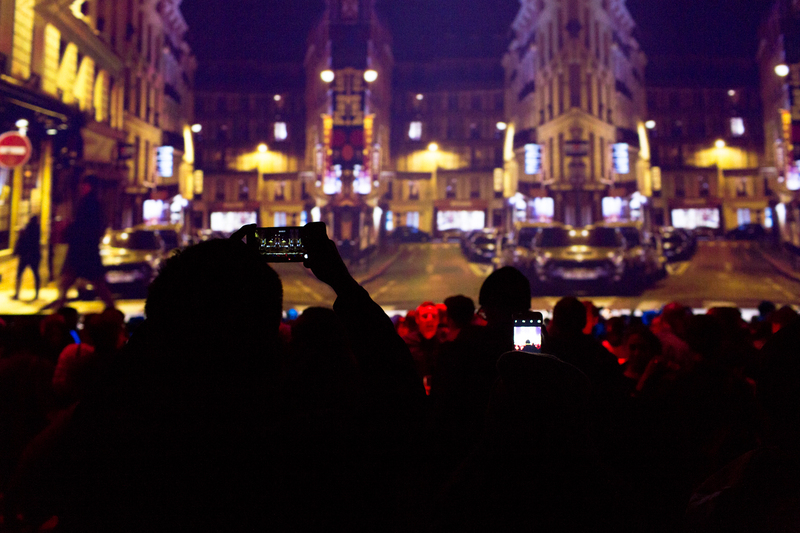 The event itself was somewhere between your usual sneaker launch event and a fashion show, with a gaggle of models strutting back and forth in NMD on a stage, almost entirely covered by one of the largest screens I’ve seen in my life. 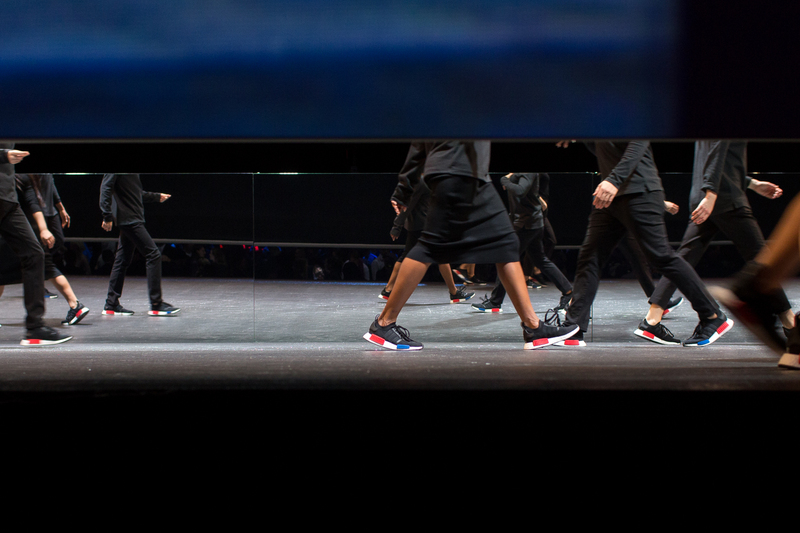 On said screen was a slightly surreal looping video of various cities with more people strolling past, however these ones were more your average pedestrian rather than well-styled models. 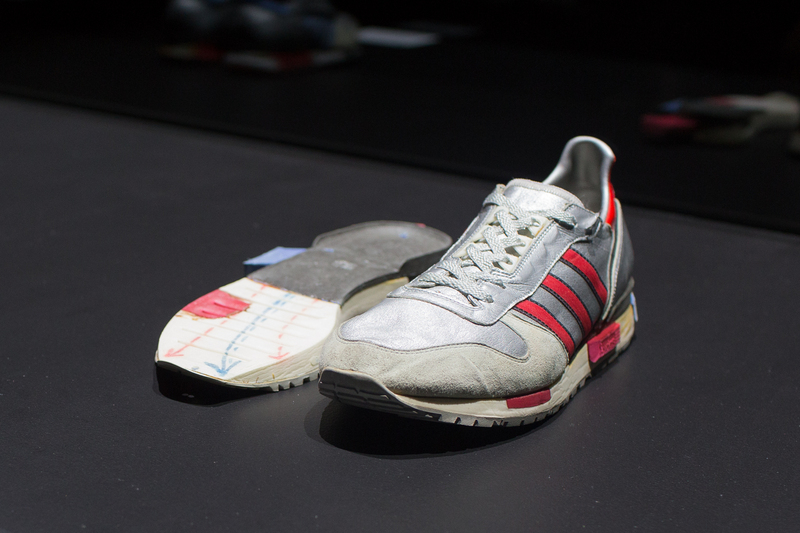 All-in-all, the message was walking, cities, exploring, and comfort. 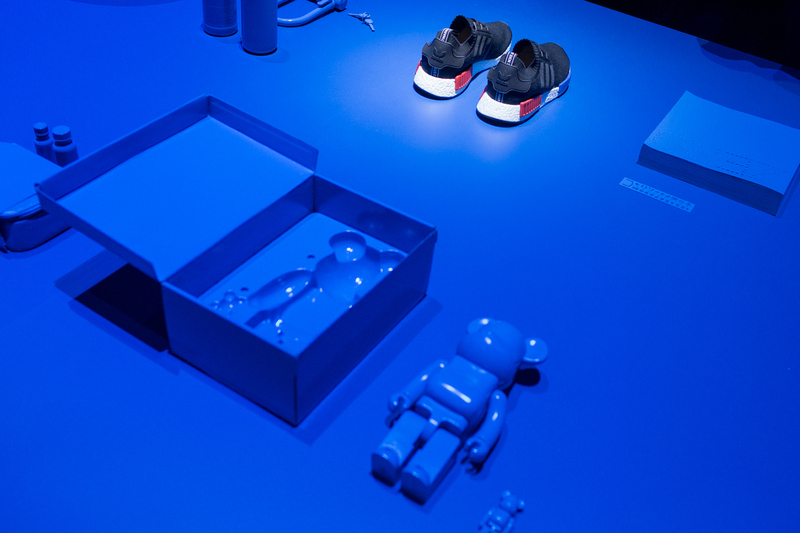 At least that’s what I took from the experience. 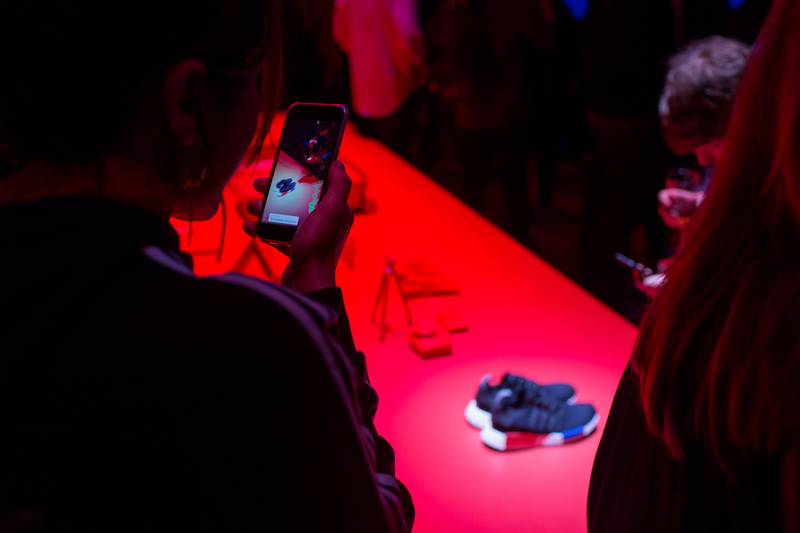 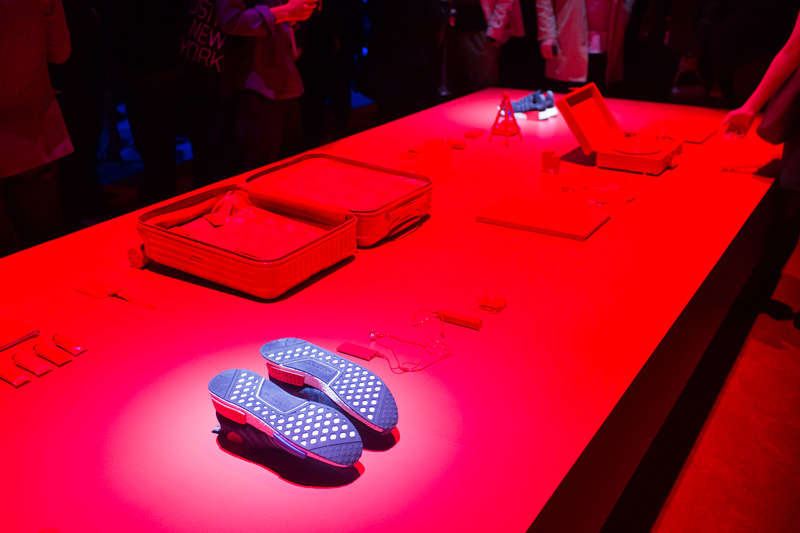 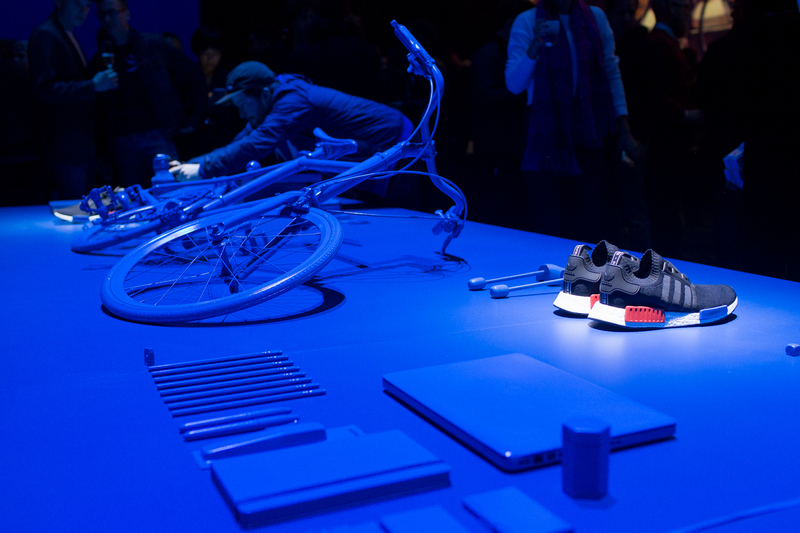 Dotted around the huge room were various Essentials style displays, putting the NMD sneaker in context amongst various trendy items that would be at home in any suitcase of the target audience for this release — cameras, Bearbrick toys, paints, Mophie chargers, and bike locks. 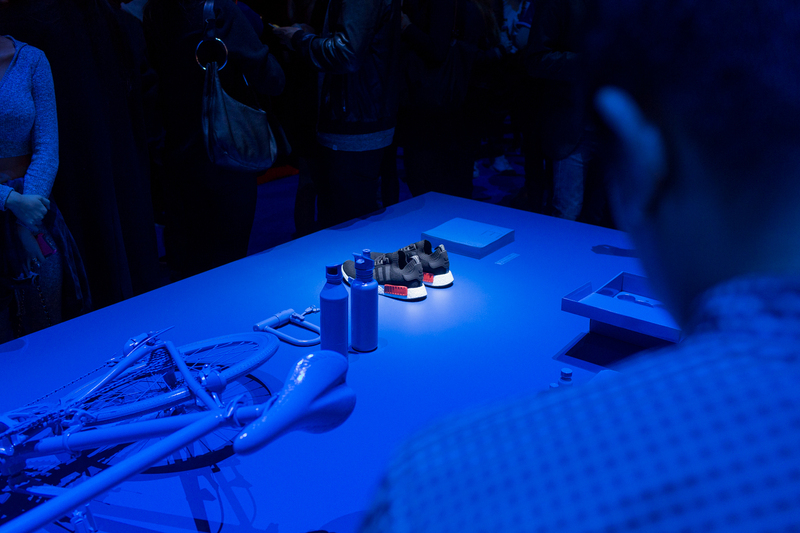 The colour blocking from the midsole was brought to life, becoming a key feature for the event itself. 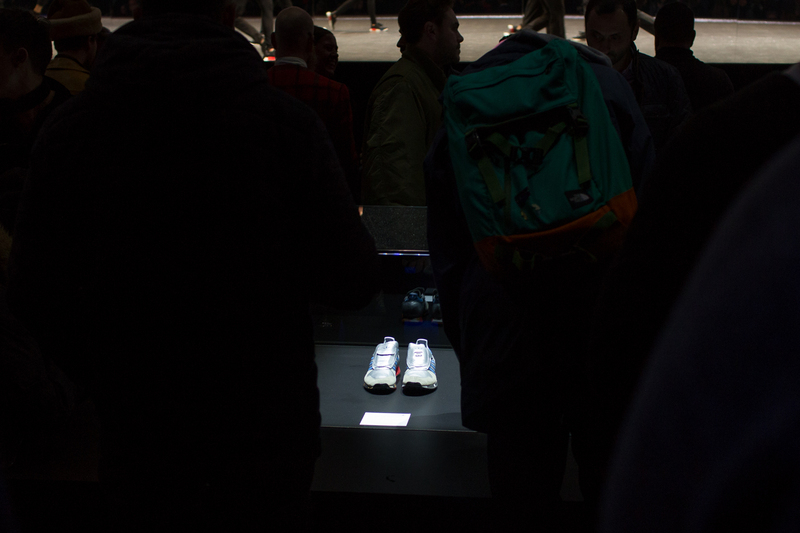 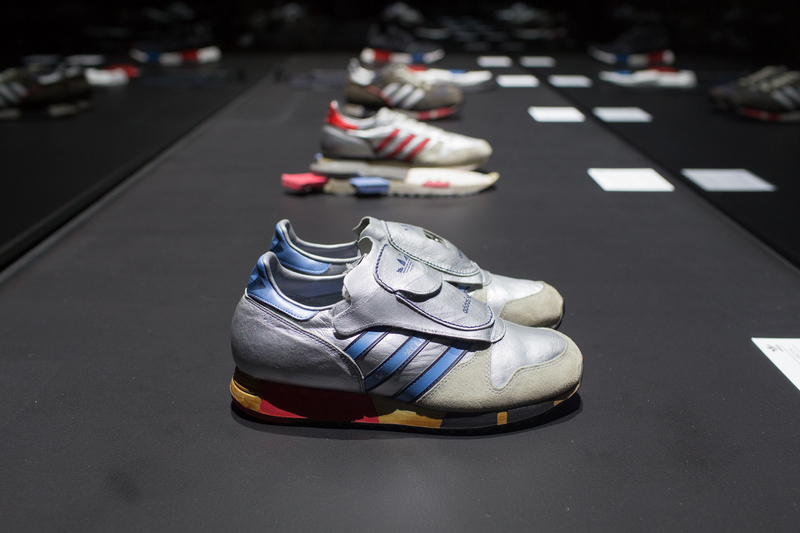 In the middle of the room stood the most intriguing display for any sneaker lover — archival items. 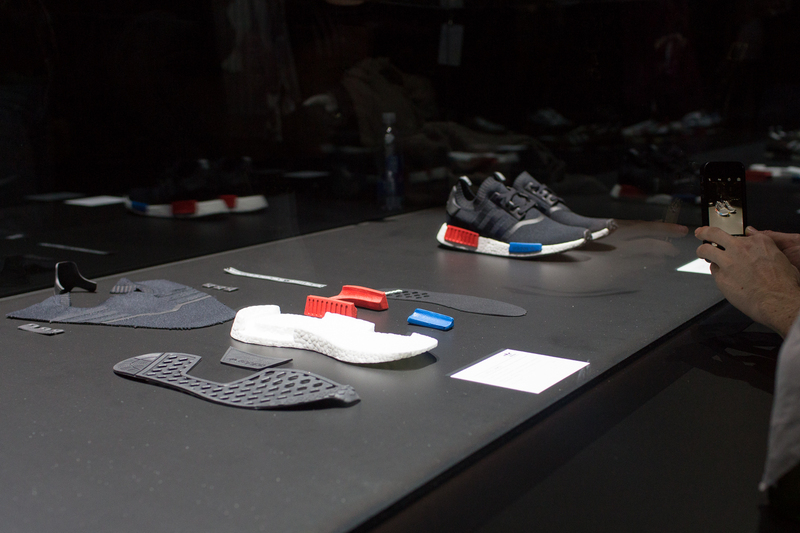 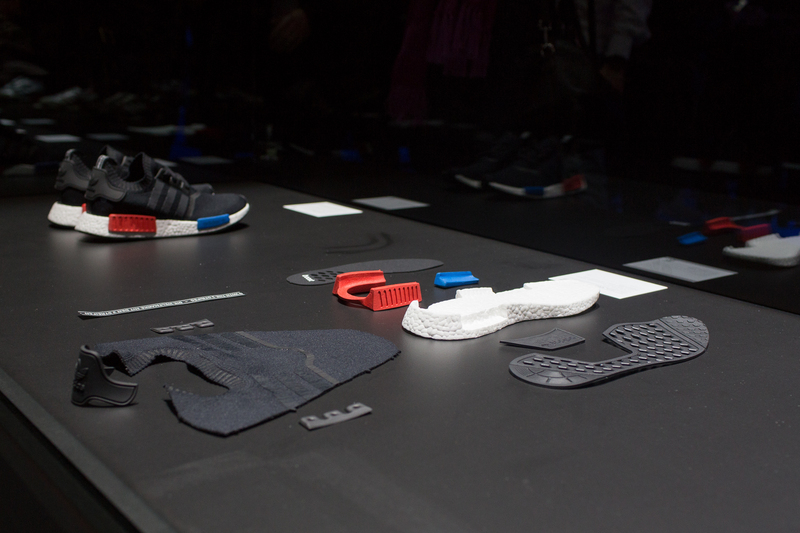 Original pairs of Micro Pacers, Boston Supers, and Rising Stars (accompanied by a deconstructed midsole), sat alongside the various elements that make NMD. 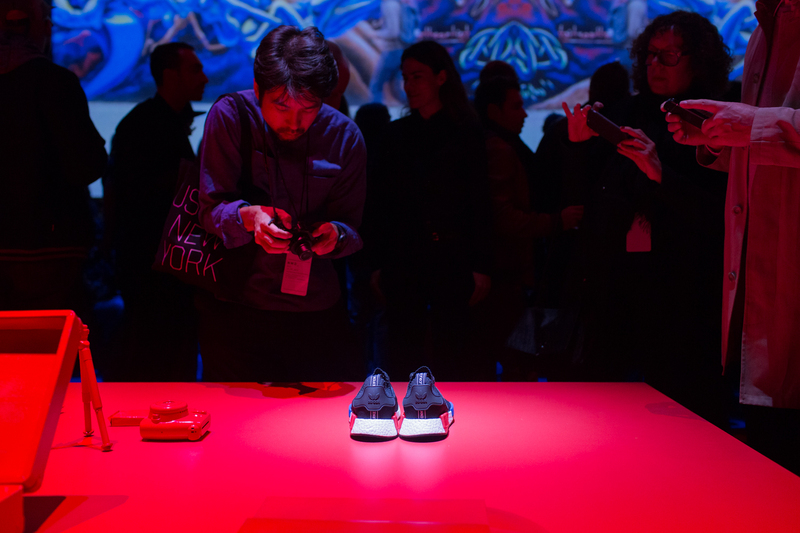 People hurled around the cabinet, snapping that Instagold and reading about the various bits of inspiration that created what we were in New York to celebrate. 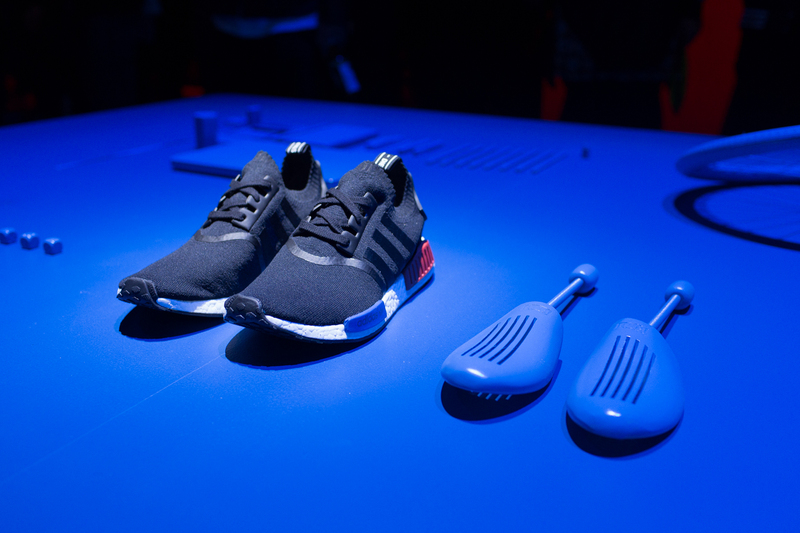 NMD is a large focus for adidas Originals for next year, so expect to see it roll out pretty quickly with some very interesting variations and collaborations early 2016.